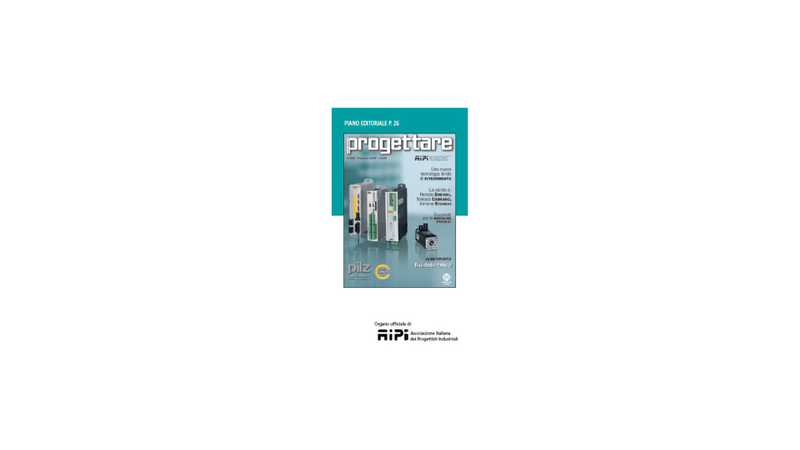 Progettare is the leading Italian publication in the industrial design sector. For thirty-one years it has been focusing regularly and accurately -also thanks to a strong technical committee- on all topics arousing readers&apos; interest, both designers and technicians. CAD/CAM/CAE/PLM, materials, industrial components, adhesives and fasteners, maintenance, rules and regulations, patents, research and training. It is renewed also for the year 2009 the commitment to promote Fluidotecnica, the historical reference for oil-hydraulic and pneumatic sectors. In the course of the year wide space is dedicated to the insert Trasmissioni meccaniche & Motion Control, where particular attention is paid to the themes of electronics applications in power transmissions and motion. To this purpose worth while to mention is "Progettare International", a one-off bilingual German-English issue will be distributed at the Hanover Fair. The magazine is the official organ of AIPI, Italian Association of Industrial Designers. The print-run and circulation are certified.